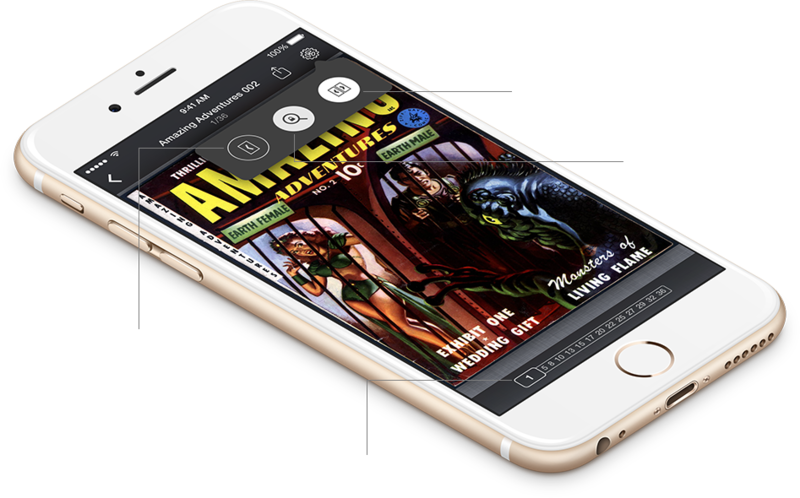 iComics™ is an app that lets you read digital comic books on your iOS devices. 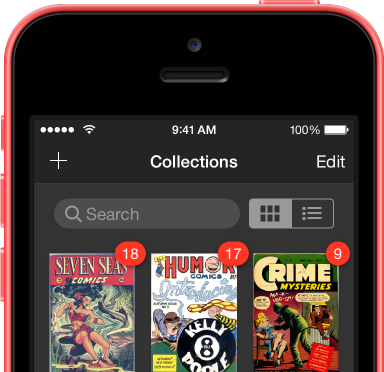 Unlike other comic apps on the App Store that act like a store, letting you buy specific comics from their database, iComics lets you bring your own collection to the table. 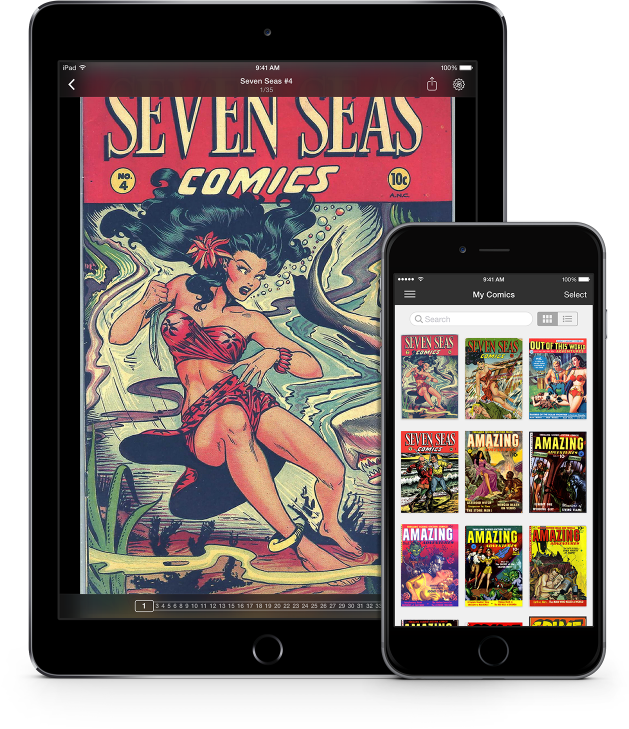 With the many DRM-free comics now available online, including indie comic artists, as well as the vast number of old-school comics that have now become public domain, iComics lets you tap into a much larger world of comic books, directly at your fingertips! iComics supports all of the major DRM-free comic book formats. All you need to do is import your comic book files into iComics via iTunes and they'll automatically start unpacking themselves, ready to read in seconds! Comics can come in any shape or size. iComics comes with a suite of display settings to make sure you can read your comics the way they were meant to be read! iComics has been designed from the ground up with speed as the absolutely top priorty. 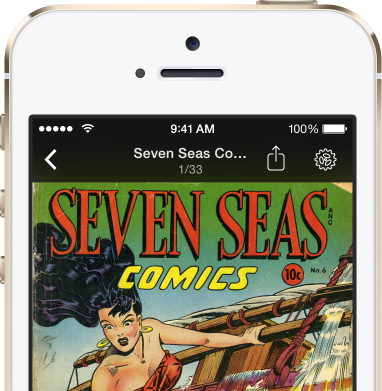 Comics import quickly, they're silky smooth to read, and are easily configurable. And performance is the same no matter which iOS device you're on! Not only that, iComics puts a great amount of emphasis on making managing comic files on your iOS device as flexible as possible. 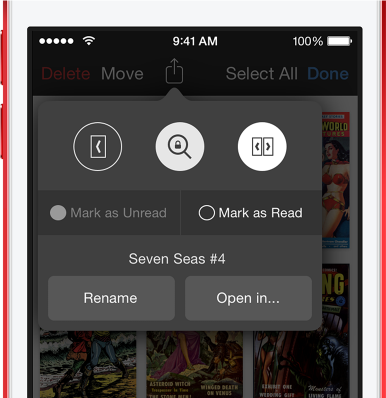 You can re-order comics, change their reading state, rename them and many more features are on the way! Version 1.0.6 helped raise the level, and version 1.1 has gone above and beyond even that. But it's not over yet! Check out these upcoming features coming in the future! iComics is the caffeinated machination of Tim Oliver, a 28 year old geek from Perth, Australia. When he's not cranking out apps, he can be found professionally developing apps for corporate clients, or unprofessionally singing karaoke in Japan. 'iComics' is a trademark of Timothy Oliver. Please remember to support the artists. Don't steal comics.